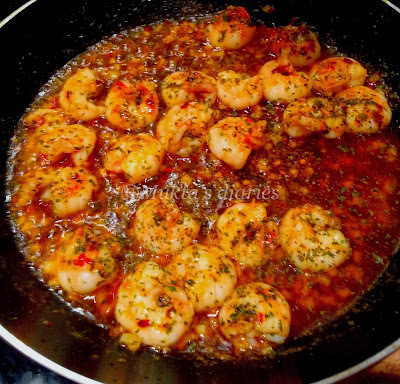 Gambas pil pil is a tapas dish of prawns cooked in garlic, chilli and olive oil. I absolutely love making gambas because it is so simple to make and tastes absolutely amazing. In a small pan heat the olive oil on medium heat. Add the garlic and toss. Add the chilli flakes and cook for 1 minute. Add in the prawns and cook for for 2 minutes turning after a minute. The prawns will change colour, indicating they are cooked. Turn the heat off. Add the parsley and paprika.